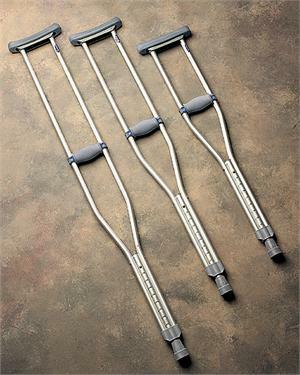 Compared to wood, aluminum crutches are lighter and provide greater stability and durability. 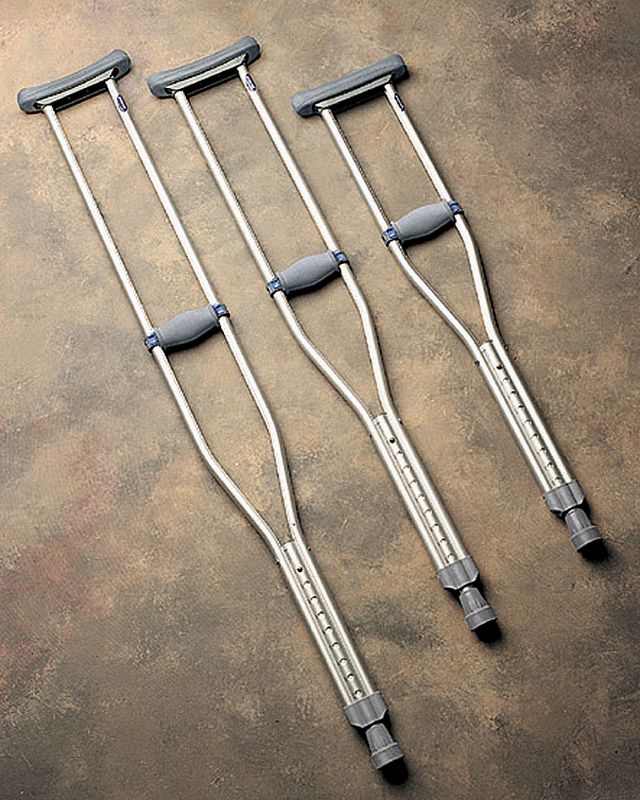 Push-pin adjustment makes it easy to adjust crutch height in 1 increments. Non-skid jumbo size rubber tips provide excellent traction. Comfortable durable rubber underarm pad and hand grip.